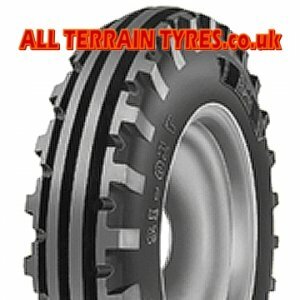 The BKT TF8181 4-Rib tractor tyres are designed to make the steering stable and predictable. The tough 6 ply casing offers good performance and long life on two wheel drive classic tractors. The BKT TF-8181 has broken outer ribs for that vintage tyre look.